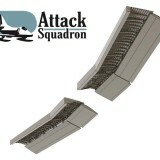 Home » Posts tagged "1:72"
A number of new accessories from Attack Squadron will be released following days. From PZL P.7a and PZL 23/42 to F-14, F-16, and Harrier. Check them out now! F / A-18 E / F Super Hornet is currently the primary carrier borne combat aircraft of the US Navy. 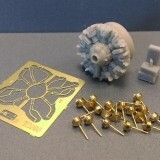 Hot Topic simply requires a series of accessories to upgrade available plastic models kit. 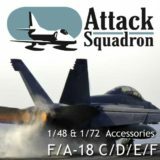 See what kind of accessories for the F/A-18 E/F prepared Attack Squadron! 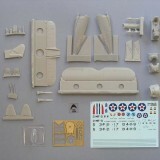 In October we will release more resin airplane kits accessories. From pre-war period to modern jest. Some new lines as well as continuation of old lines. See what new is prepared for this week! In Arma Hobby shop started preorders for new accessories sets for C-130 Hercules. 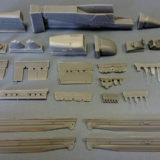 Available are dropped flaps 1/72 scale and two new 1/48 scale: Refueling Pod and Harvest Hawk upgrade. Last but not least are US WW2 bombs and engine nozzles for MiG-29. See them all now! 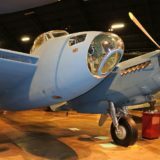 Grumman F2F-1 scale 1/72 – what’s in box? 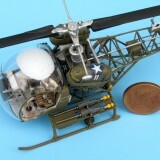 In Arma Hobby shop a new kit of Grummana F2F-1 1/72 scale is available now. It is scaled down version of Model of The Year 2016 awarded kit. So let’s see what is in box! Piotr Dmitruk has built H-13S from Italeri with drukowaną 3D kratownicą from Attack Squadron. Model 1/72 scale is very impressive. See how using Attack Squadron accessories an old kit turns to miniature replica with plenty of detail. 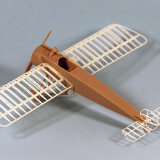 3D printed Fokker E.III wing and tail construction for Eduard/Smer kit were built by Grzegorz Mazurowski. Model was left unpainted to show 3D printed parts against model parts. Imagine what model projects you can make with this set! RWD-8 replacement wings – Preorders started! 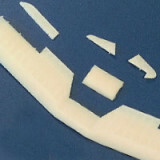 It was announced on our blog, that we are preparing replacement correct wing for latest RWD-8 kit from IBG. Today 3D prints have arrived and we are starting production. 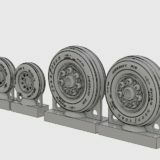 See 3D prints and preorder your RWD-8 wings now!